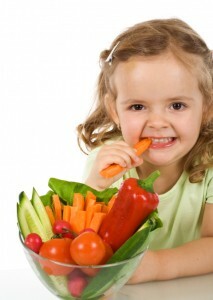 Dakota Dental family dentistry supports healthy kids! It is time for kids to head back to school, and that means it is a great time to reevaluate what our young people are eating for meals and snacks. Too often it is easy to reach for convenience foods or those tasty treats that are loaded with fats and sugars. There is a better way, and Dakota Dental family dental is here to help guide back-to-school food decisions. As parents, it is important to help our children to grow strong and healthy. An essential component in encouraging optimal development is to help shape children’s attitudes toward and tastes for healthful choices. Not only will these healthful food choices aid in physical growth and development, these choices will help youngsters stay alert, maintain healthy weight, and fight off sickness and infection better. When it comes to drinks, water—plain and simple—is the best choice. Juices that are acidic can weaken tooth enamel; and sugary juice cocktails and soda pops feed the bacteria that can lead to tooth decay, cavities, infections, and bad breath. As your Apple Valley dentists, the team at Dakota Dental family dental encourages you as parents to model good food choices and healthful dental care habits, including brushing and flossing and routine checkups and cleanings. Unfortunately, despite best efforts, however, children may develop situations where dental services are needed. Dakota Dental children’s dentists provide the dental care required—even if it is an emergency appointment outside of regular dental clinic hours.